Well, it's the last full week of my twenties, and I just remembered that I never shared the fun invitation suite I created for Sarah's 30th birthday! Sarah is one of my favorite people to work with because she is not only incredibly kind, but is always up for making her paper pieces a mix of fun and formal. Sarah was thinking of something pink, gold and feminine with a pop of contrasting black. We went for a good balance, and kept it fun with a nod to the formal. I loved creating brush calligraphy for this suite! I put the black brush writing over a perfectly pink watercolor background. I loved that Sarah wanted a RSVP card for her party to help with the head count, and this is one of my favorite RSVP cards to date. I kept it clean and simple, with oversized brush lettering. 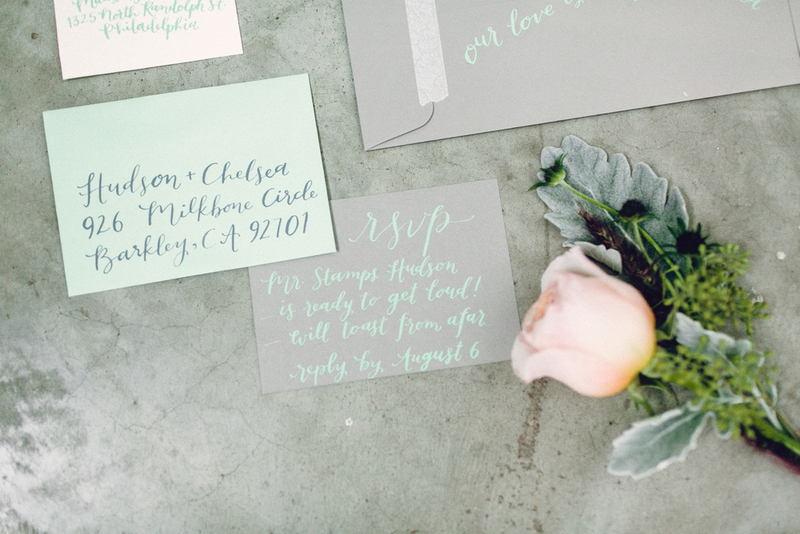 Each guest's name was added to the top of their RSVP card for a fun touch of formality. RSVP envelopes were a deep gold, and each were calligraphed using my signature script style. I wrote "The Birthday Girl" and Sarah's return address on each RSVP envelope in a light pink ink. 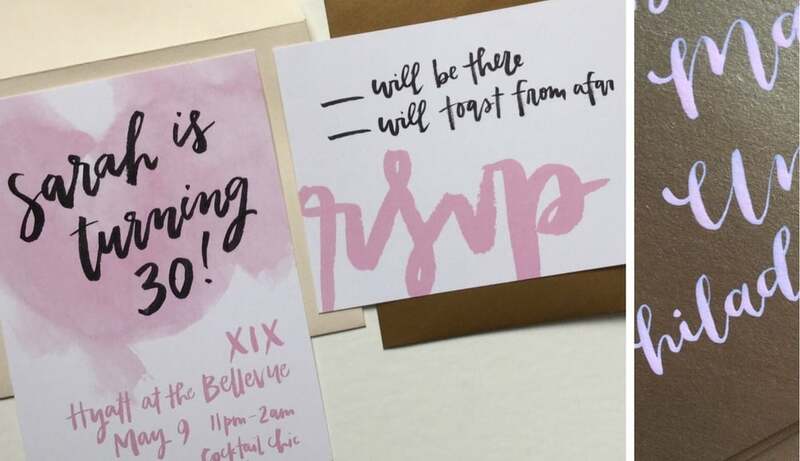 This ink coordinated with the pink from the invitations. Pink on gold? Yes, please! So fun! 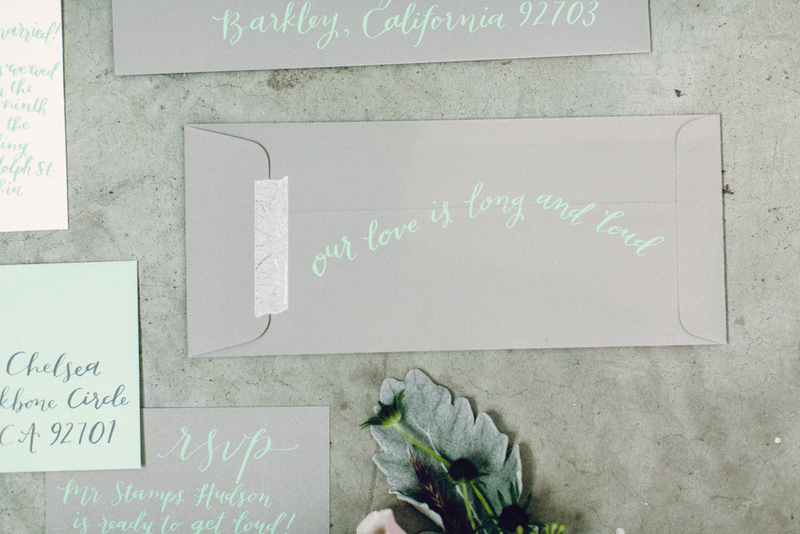 Outer envelopes were deep ivory and calligraphed in my signature script style in a gold ink to make a beautiful formal first appearance in guest's mailboxes. After all, it's the beginning of a new decade- why not mark its importance? !